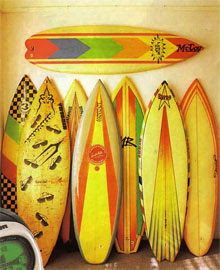 This blog is about the 'innovation period' of surfboard design and I often make reference to the fact there hasn't been any major experimenting with surfboard shape or design since the mid 80's. 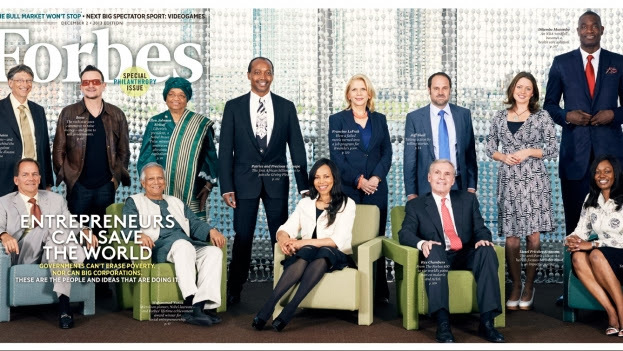 Steven Kotler has written a piece for Forbes magazine that argues that is about to change. "Simon Anderson needed an edge. This was 1977. 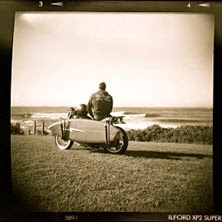 Anderson, a lantern-jawed Australian surfer ranked number three in the world, was an excellent power carver, more than able to hold his own in the larger waves. 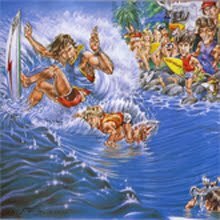 Surfing was becoming increasingly popular. To accommodate the growing crowds, pro contests were being held not at the beaches that had the best waves, rather at the beaches that could hold the largest crowds. 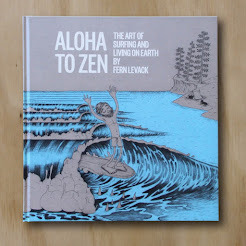 These beaches typically had smaller surf—which was not Anderson’s forte. The issue was technical. 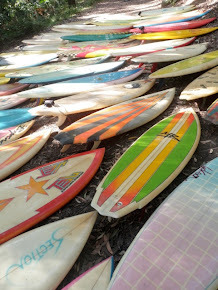 Back then, surfboards came in two main varieties. 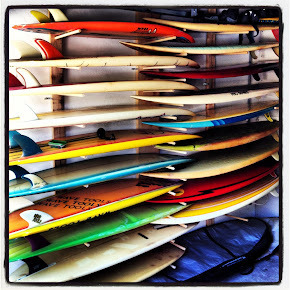 The classic single-fin model, and the upstart twin fin. Each had their purpose. 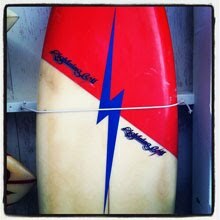 The single fin was great in bigger waves, but got slow and sluggish in small. The twin fin was an improvement in the small—though not entirely. 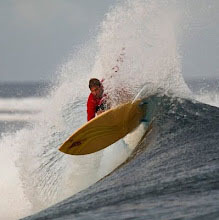 While the twin fin was faster and more maneuverable in small surf, with fins positioned at the far edges of the board the results were way too squirrely for a power surfer like Anderson. But, in October of 1980, insight arrived. 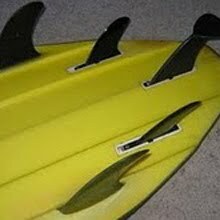 Anderson noticed fellow surfer/board-shaper Frank Williams had placed a tiny half-moon shaped piece of plastic near the tail of his surfboard, directly between the twin fins. When Anderson asked, Williams told him this half-moon acted as a stabilizer. That was the innovation he’d been waiting for. 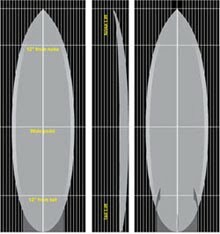 Anderson, who had then been shaping surfboards for over a decade, went home and modified Williams design, designing a block-tailed surfboard with three full-sized fins instead of two—two on the edges, one in the center. He called this tri-fin arrangement a “thruster”—because the stabilizing fin also provided more thrust—and a revolution was born. The invention of the thruster was one of the most critical innovations in the history of surfing. Almost all of the above-the-lip, wave-slashing acrobatics that have come to define modern surfing can be traced to this single development. To put this in a historical context, surfing is a sport that is nearly a millennium old. 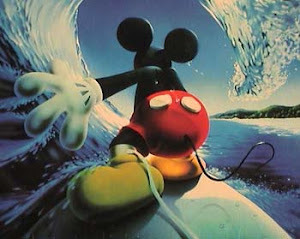 For over 950 of its years, surfing was also a sport that took place on the wave’s face. Now, certainly, the face of a wave is a mighty artistic canvas, allowing a near-infinite number of possible kinesthetic interpretations, but when it comes to the upper edge of human performance, having to restrict possible moves to the wave’s face is still a limiting factor. The tri-fin design, though, removed this limit. 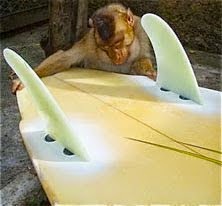 It produced more speed and more stability and, over time, surfers learned to harness both to launch off the wave’s lip—thus removing a nearly 1000 year old performance limit. All of which is to say, there is a very tightly coupled link between the upper limits of human performance and technology. More importantly, with 3D printing about to become available to the average action sports athlete, well, get ready for the earth-shattering. Now, to be sure, 3D printing is already making inroads action and adventure sports. A recent article in Surfer pointed out that already 3D printers are being used to design new fins and new fin boxes and full-sized surfboards aren’t far behind. Why is this such a big deal for the future of human performance? The first is cost, which is still a major barrier to entry in action sports. 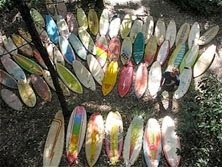 High quality surfboards, skis, snowboards—to offer just a few examples—all start out in the $500-$1000 dollar range. And today’s athlete can’t just rely on a single piece of equipment. Any skier worth their salt today has at least two sets of boards in their quiver (power, all-mountain) and usually a third for their backcountry set-up. 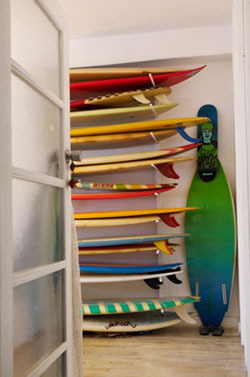 Surfers have boards for every size of surf—thrusters, fish, longboards, funboards, quads, and more. In other words, to really get in the game, you need a full complement and that requires a sizable paycheck. These hefty startup costs limits the talent pool. Pretty much any kid growing up can afford to play baseball, football or basketball, but until 3D printers are as common as ink jet printers, this will not be the case with action sports. Second, every athlete who spends any time seriously using their equipment is going to come up with potential modifications they’d like to try out. This is a hell of a performance accelerant. Personally, for example, I like a really playful ski with enough platform underfoot to handle the occasional big drop. Right now, this means a pair ofK2 Kung Fujas. But I think I might like my Fujas better if they were a little wider underfoot and a tiny bit stiffer for stability at speed. Right now, I’m out-of-luck. But give it a few years and I’ll be able to download blueprints for my own version of the Kung Fujas from the web and simply hit print. And that’s just me. What this means for athletes at the very upper edge of human performance—meaning the athletes with the most detailed knowledge of their equipment—is the ability to rapidly iterate novel equipment designs. Rapid iteration via 3D printing has had a radical impact on every industry it’s yet encountered, but it has yet to encounter an industry so tied to the upper edges of human performance. Even better, with the social capacity of the web, people will be able to share and modify each other’s designs. Think you’ve created the perfectly shaped surfboard for the off-the-lip backflip? Put it online and let the crowd test and augment your design. To put this in entirely different terms, I have a new book coming out soon—The Rise of Superman (click here if you haven’t yet seen the—if I do say so myself—awesome trailer) that examines the hows and the whys behind the near exponential growth in ultimate human performance in action and adventure sports these past few decades. I cover a lot of technology in the book, but 3D printing is not a part of the equation. That said, it soon will be, and that could mean that near-exponential growth in human performance—something that’s never happened before—could become exponential growth—something that’s so mind-blowing its fundamentally hard to contemplate. And the best news: because these printers are literally right around the corner, all of us will have front row seats at what could honestly be the greatest show in history."